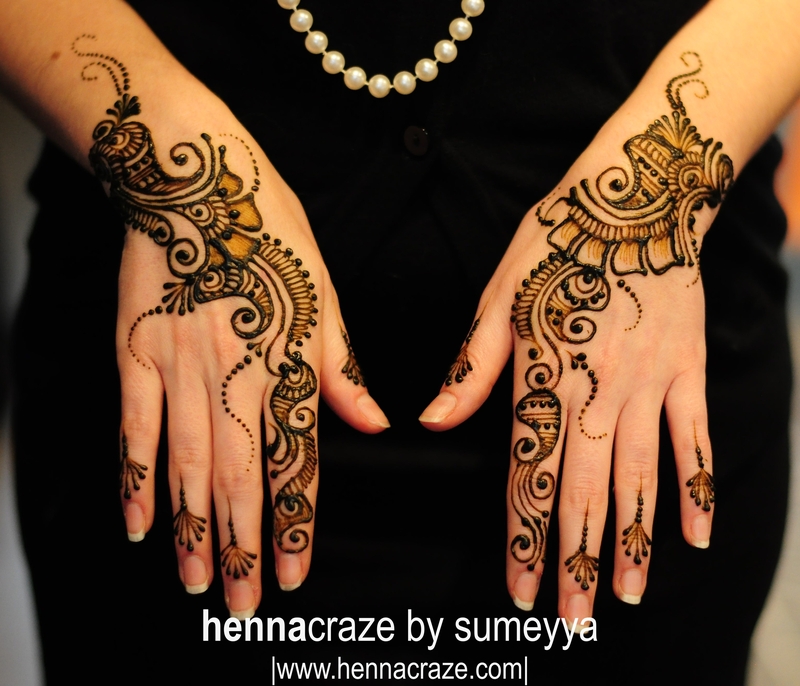 Meet one of the best bridal mehndi artists – Sumeyya from hennacraze. 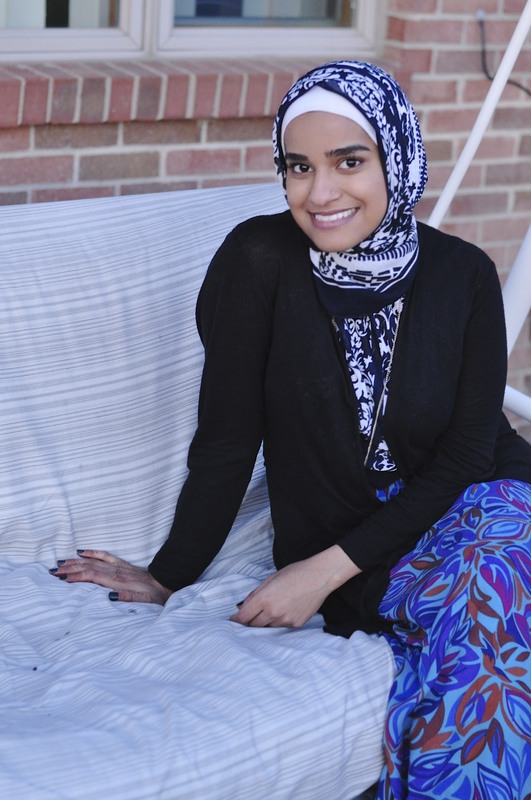 Hope you enjoy Zuri’s interview and her gorgeous mehndi designs. I have tons of respect for anyone who is in the creative field and one of them is Sumeyya from www.hennacraze.com. I want you to be ready for the upcoming wedding season. 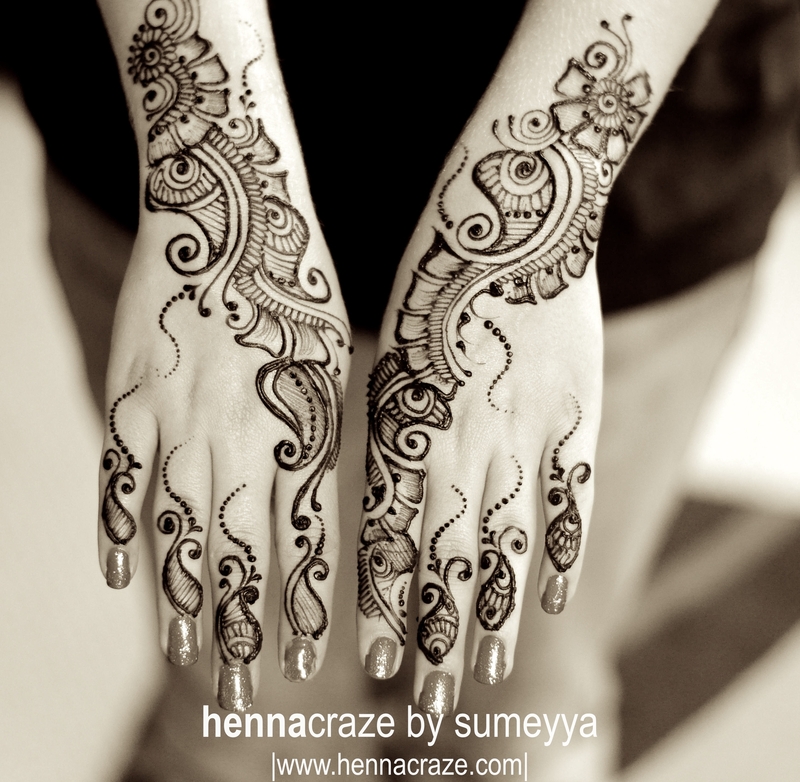 So I requested Sumeyya, who is a brilliant bridal mehndi artist based in Chicago, for an interview. She gives valuable advice to soon-to-be brides, her views about the latest mehndi designs (especially, the arabic mehndi designs), and showcases her stunning artwork. I was personally very happy that she agreed to do this interview. Dear readers of Zuri, hope you enjoy her tips and the truly beautiful bridal mehndi designs that she has created (for makeup related tips for brides see this). I am sure it will help any bride who is looking forward to apply mehndi on her wedding day. This is Sumeyya – all in her own inspiring words. 1. Tell us about yourself – when did u begin doing this and how did u think of getting into this line. I began doing mehndi designs at the age of 10. I’ve always been into art, particularly sketching and painting. I fell into mehndi naturally – coming from a Punjabi background, I’d seen it being done for weddings and Eid parties. So one day, I decided to pick up a cone and try. I was horrible at it but the challenge of trying to create something good motivated me to keep at it. Even now, when I feel like I’m in a ‘slump’ artistically, I find a design concept that is very challenging for me to do – this helps me to push my abilities further and also helps me to enjoy my work! I did mehndi designs almost constantly for 5 years without getting paid for it or even thinking of making it into a business. However, as more and more people (from word of mouth) began asking me to do bridal mehndi designs for their weddings/events/etc, it finally clicked to me that I should start charging. I have to admit, I was rather slow to pick up on the business aspect of henna because I genuinely enjoyed creating the art so much! I don’t actually have a FAVORITE mehndi design – it changes every few months! I don’t enjoy doing the same designs over and over again (although, of course, I end up doing similar designs because different clients will request it). I don’t think I’ve ever really done two exactly SAME mehndi designs! I really feel that when you’re hiring an artist you should get something unique — after all that’s what artists do! If someone wants an exact copy of a design (even of my own work) I always warn them that it will NOT look exactly the same as every artist has their own ‘signature’ so-to-speak. 3. 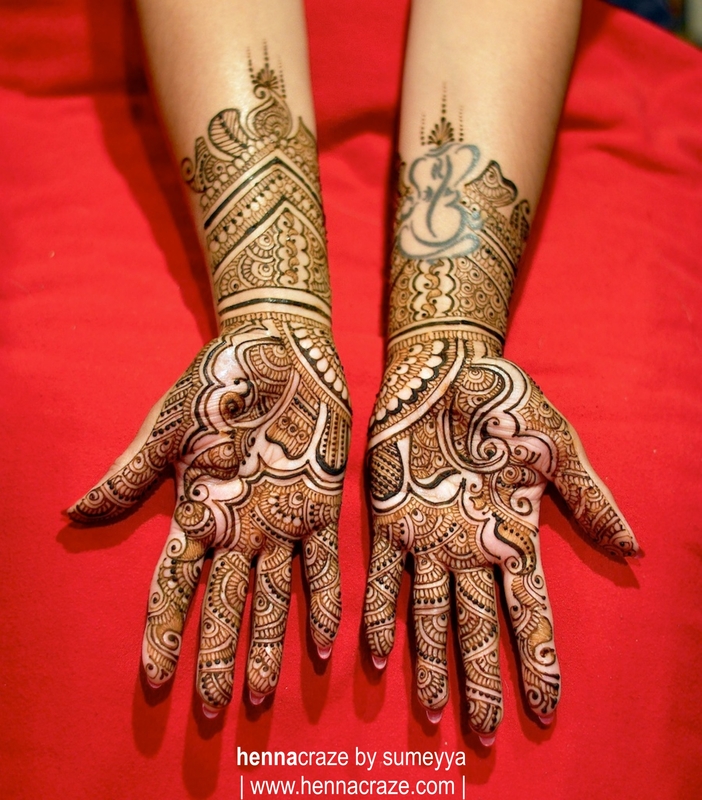 What in your opinion are some of the latest trends/fashion in bridal mehandi designs these days? 4. What is the most memorable experience you have had while doing mehndi designs – something that has stayed close to your heart and is remembered very fondly? I think my most memorable mehndi session was doing it for a multi-faith wedding party. Between this couple and their families they had: Sikhism, Hinduism, and Christianity. The rituals for their wedding were very fascinating to me. Anyway, why this was so memorable to me: I requested the bride that I would need to take breaks throughout the day to pray (I am Muslim, and in Islam we pray 5 times a day). The bride told me that wouldn’t be problem. Now, when I’m at a client’s home, I try hard not to let my prayer time/space be a nuisance to them — after all it is their wedding event and I don’t want to in any way offend them or their guests. So I said that I’d pray in the corner of the room. However, her father overheard and he said – “oh no, don’t worry”. He and the groom had cleared out their guest room and laid down a carpet (because the bride’s father said, I know Muslims pray on carpets) for me to pray. I was so incredibly touched. People like this restore my faith in humanity. They were such a lovely couple and family and I always remember them fondly! 5. What are your most important tips to take care of the mehndi after applied? Heat your hands – henna is activated by heat and will always stain better if some form of heat is applied! Use a sealant – lemon juice/sugar mixture works well. Always SCRAPE off your mehndi, don’t wash. Try to leave the paste on for 4-6 hours before scraping, and try to avoid water on your hands for a full 8 hours after mehndi is applied. Enjoy mehndi designs by Sumeyya. (Published with permission of hennacraze.com. Please don’t use these designs without permission from the original source). Sumeyya is taking part in a contest for the “BEST HENNA ARTIST IN AMERICA” and has made it to the TOP TEN finalists from 100’s of other applicants! Dear readers of Zuri, we need to help her win! If you love her bridal mehndi designs as much as I do, please vote for her. To vote for Sumeyya, you need to COMMENT on her post tomorrow, THURSDAY OCTOBER 31, 2013 on www.maharaniwedding.com (look for the post that says “Sumeyya Rehman of Henna Craze“). Here’s wishing Sumeyya all the best and we hope that she wins the title as she truly deserves it! 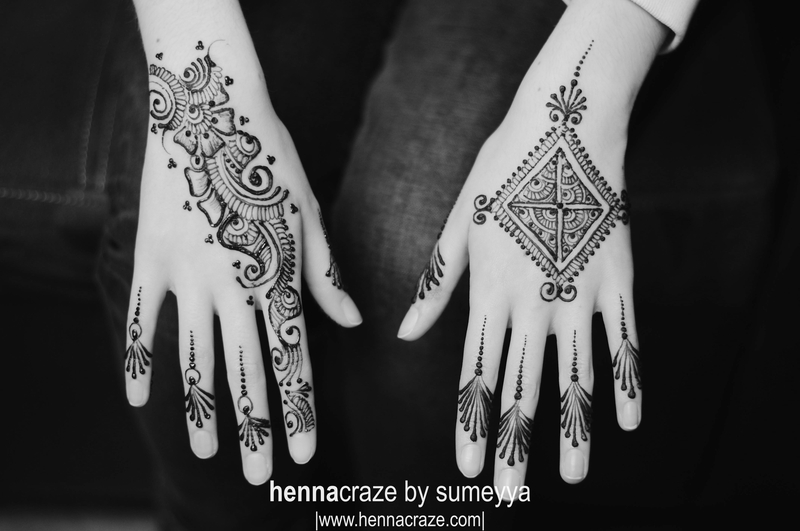 Thanks a ton Sumeyya for being friends with readers of Zuri and taking out the time to share your wonderful advice and mehndi designs with everyone! These bridal mehndi designs will look stunning along with these gorgeous lehangas – see Zuri’s bridal looks for Indian brides.